When considering a service member for retention, re-classification or separation, the factors listed in AR 635-200, para. 1-15c should be considered. Counseling and rehabilitation is mandatory. Commanders must make maximum use of counseling and rehabilitation before determining that a soldier has no potential for further useful service and, therefore, should be separated. Commanders will ensure that these measures are taken before initiating separation procedures for the reasons listed in AR 635-200. There are several circumstances in which service members must be processed for separation under AR 635-200. Unless separation is mandatory, the proper Separation Authority will consider the potential for rehabilitation and further useful military service. Bars to Re-enlistment – (AR 635-200, chapter 1, para 47) If, at the time of the second 3–month review of a locally imposed bar to re-enlistment, the unit commander does not recommend that the bar be removed, the commander will initiate and process the soldier for separation per chapters 13, 14, or other appropriate chapters of AR 635-200. Commission of a Serious Offense – (Drug abuse only), (AR 635-200, Chapter 14-12c). All soldiers who are in the grade of Sergeant (E5) or above and all soldiers with 3 years or more of total military service, active and reserve, will be processed for separation upon discovery of a drug offense. All second time drug offenders, regardless of rank or time in service, will be processed for separation. Failure to Meet Body Fat Standards – (AR 635-200, Chapter 18). Service members who exceed the body fat standards and do not make satisfactory progress for any two consecutive months, or after a period of 6 months, in the Army Body Fat Program will have separation proceedings initiated. Loss of MOS Qualifications – such as a mandatory loss of security clearance for a 31B-Military Policeman [per AR 614-200, para. 3-18; per DA PAM 611-21, para.10-b(6-11, 15-16)] due to certain disciplinary actions must be re-classed if not separated. Refer to Mandatory Separation #2 if loss of a security clearance is due to drug abuse. After all mandatory counseling and rehabilitation attempts have been exhausted, the service member’s immediate commander will notify the soldier in writing that he/she is being recommended for administrative separation per AR 635-200. This is usually processed at the legal office for the commander. However, the service member will be counseled on a DA Form 4856, (apart from any other previous counseling attempts to correct the problem), as to the reasons he is being considered for separation. This counseling – DA Form 4856, along with all other pertinent information, DA Form 268 (Initiation of a flag), and the service member’s ERB must accompany the initial packet to the legal office. The commander should also attach a memorandum as to what characterization of discharge he or she recommends. Service members wishing to separate voluntarily must request, in writing, separation from the service because of dependency, hardship and pregnancy to his or her commanding officer. All required documents and evidence must be submitted along with the request. The company (immediate) and battalion (intermediate) commanders will recommend type of separation, re-classification or retention and the characterization of service to be awarded. For Chapters 11, 13, 14, 15 and AR 604-18, no soldier will be considered for separation on conduct that has been the subject of judicial proceedings resulting in an acquittal, or after a separation board has determined that the soldier be retained. However, a soldier is not precluded for Administrative Separation under Chapters 13, 14, or 15 if he or she has been convicted by a courts-martial whose sentence did not include a punitive discharge. If the service member has 6 or more years of active duty or is being considered for an – other than honorable discharge, he or she is entitled to a hearing before an administrative separation board. AR 635-200, 2-2(b-3). Service members can waive their right to a hearing board. In this case, the separation authority will be the same as if a board was held. If the service member qualifies for an administrative separation board, the commander will take the following steps in accordance with AR 635-200, 2-4, a-b. Notify the SM that he/she has been recommended for separation under AR 635-200. Notify the SM that he/she has the right to confer with consulting military counsel or he/she has the option of obtaining a civilian attorney at no expense to the government. Notify SM that he/she has the right to obtain copies of all supporting documents. Notify SM that he/she is eligible to a hearing before a Separation Board. To present written statements in lieu of a Separation Board. Notify SM that he/she can request the appointment of a military counsel for representation. To waive above rights in writing. Time lost to be made good. When an investigation is initiated with view to trial by courts-martial or when soldier is awaiting trial or result of trial. En route to United States or to territory of origin. Medical/Dental care is required or sick in hospital when a period of service expires. AR 635-200, 1-19 – Commanders who are General Courts-Martial convening authorities (Division Commanders) and their superior commanders are authorized to order separation for any chapter. A general officer in command, who has a Judge advocate or legal advisor available is authorized to order the separation or release of AD or ADT of soldiers. This officer, unless also the GCMCA, cannot order separation or release for lack of jurisdiction (AR 635-200, 5-9) or discharge in Lieu of Trial by Courts-Martial (AR 635-200, 10). Brigade Commanders who are Special Courts-Martial Convening Authorities are authorized to process Chapters 5,6,7,8,9,11,12,13,16,18 and Chapters 14 and 15 when an Under Other Than Honorable Discharge is not warranted under AR 635-200, para. 3-7c and the notification procedure is used. 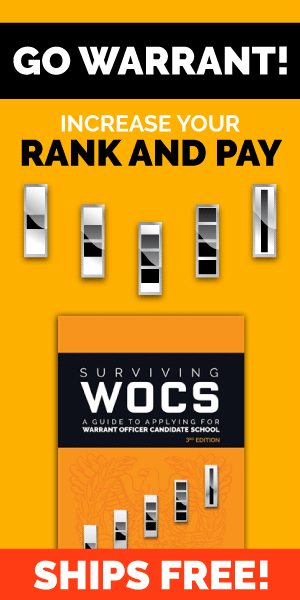 Commanders in the grade of lieutenant colonel, or above, and commanders in the grade of major, who are on an approved recommended list for promotion to lieutenant colonel, or above – (This authority does not include officers in the grade of major, who are acting commanders, even if on an approved recommended list for promotion to lieutenant colonel), are authorized to order separation from AD or ADT under chapters 8, 11, and 16; and under chapters 9, 13, and 18 in which the notification procedure is used. All actions by commanders having Separation Authority will comply with AR 635-10. The separation authority will determine the final characterization type of discharge regardless of the immediate commanders recommendation. Under Other Than Honorable Conditions – If a soldier is to be discharged with an under other than honorable conditions discharge the service member will be reduced to the lowest enlisted grade by the reduction authority per AR 600-8-19. *This characterization can only be approved by a commander authorized as a general courts-martial convening authority. Order of release by reason of void enlistment or induction. Separation by being dropped from rolls. AR 635-200, 3-7, explains in detail the guidelines of each characterization of service and should be referenced when determining which type of discharge should be adjudged. A dishonorable discharge will be given only by an approved sentence of a general courts-martial. A bad conduct discharge will be given only by an approved sentence of a general or special courts-martial. Can an Article 15 proceeding be conducte...Can an Article 15 proceeding be conducted in front of a formation? Can NCOs trash a Soldier’s room du...Can NCOs trash a Soldier’s room during a Health and Welfare Inspection?